Wagyu means Japanese beaf and it has became very popular in the world. This course takes about 2 hours, including.. 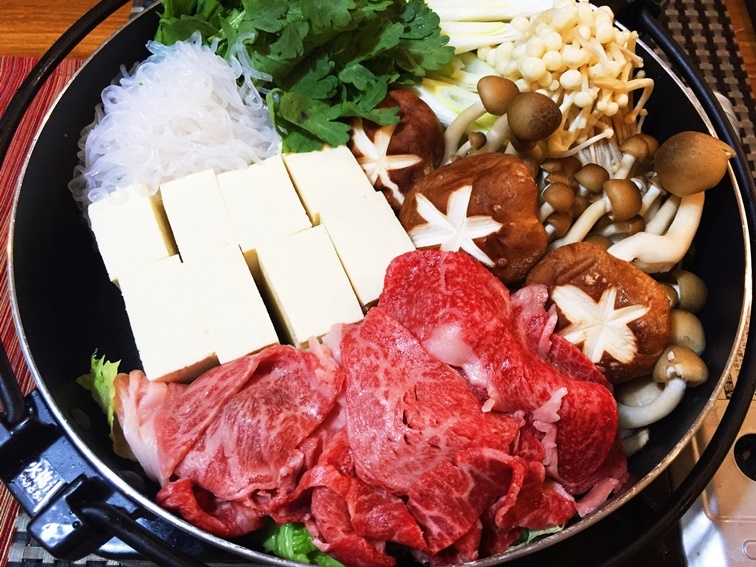 Cooking sukiyaki on the table with prepared vegetables and wagyu in the soup.